Pasadena Hills Mayor Geno Salvati won election to his office in 2013 without opposition. It's fairly common for mayors and city council members to get elected without opposition in St. Louis County. Salvati spent the lunch hour talking about uphill attempts to pare down the number of St. Louis County’s municipalities. Between sips of the restaurant’s Oatmeal Stout beer, Salvati made it clear he was not a usual politician. He’s a computer programmer who did some IT-related work for his city before running for office. When Pasadena Hills’ previous mayor decided against running for re-election, Salvati ran -- a decision spurred not by a desire for power or prestige but the simple fact that nobody else had signed up for the job. Considering all the available mayorships, city council seats and other offices in St. Louis County’s 90 municipalities, it's not that uncommon to find lots of people running unopposed in municipal elections. That lack of participation gained more attention after Michael Brown’s death prompted a closer examination of Ferguson’s government. Many have noted the city’s dismal turnout in the last municipal election – a turnout influenced in part by the fact that Ferguson's mayor didn’t have an opponent. It’s not just Ferguson, though. Local elected offices aren’t exactly cushy jobs especially since they offer little pay and attract heavy scrutiny. Still they’re often the elected positions that directly affect ordinary people the most. In the most recent April election, more than 65 percent of the races for local offices in St. Louis County were uncontested. That includes the race which Ferguson Mayor James Knowles III won without opposition. That percentage goes up to about 68 percent if contests with a qualified write-in candidate aren’t included in the final tally. In a few cities in St. Louis County, such as Wildwood, Glen Echo Park and Wilbur Park, certain municipal offices had no filed candidates so the contest became a write-in election – the exact scenario Salvati had feared when he ran for mayor. Things weren't that much different in earlier election cycles. If races with qualified write-in candidates are counted as opposed elections, about 63 percent of the county's municipal elections were uncontested in 2013. Roughly 64 percent of the electoral contests were uncontested in 2012. The other problem, she said, is the office isn’t exactly glamorous. She noted how she had to raise money and actively campaign in 2012 for her unpaid committeewoman position. Ferguson Township Democratic Committeewoman Patricia Bynes talks with St. Louis Public Radio's Jason Rosenbaum about the lack of participation in local elections -- and how to change the status quo. “You almost have to be crazy,” Bynes said. “You’re going to be criticized. You’re going to be talked about. And this is all in your spare time because you have to have a full-time job." Most local officials keep their day jobs because St. Louis County’s municipal positions don’t pay very well. It’s another reason people aren’t that interested in running for office themselves. That includes Rick Canamore, a Normandy resident demonstrating earlier this month across the street from the Ferguson Police Department. Ferguson resident Jeff Johnson was protesting with Canamore. He said his reason for not seeking office is more philosophical. He said he doesn’t want to be a part of what he calls a “corrupt system” where elected officials are removed from every day problems. “Once you get to a certain position, you forget how it is out there for real,” Johnson said. “Because you don’t have to deal with everything out here that a normal, everyday person would have to deal with." Not everyone feels that way. For instance, last week’s Ferguson City Council meeting drew hundreds of people – including a few who promised to help oust or run against the mayor or various council members. The Ferguson City Council has faced heat for its response to Michael Brown's shooting death. Jones, the political science professor from UMSL, said it’s not uncommon for people to seek local office when something goes wrong like it did in Ferguson. But more often than not, people run for local offices to solve very specific problems – like fixing potholes or making city services better. St. Louis Alderman Antonio French, D-21st Ward, talks with St. Louis Public Radio's Jason Rosenbaum about efforts to spur more local participation in municipal elections. A few months after our first conversation, Salvati and this reporter returned to the Ferguson Brewing Co. He and other mayors in north county have been monitoring the violence in Ferguson closely, especially since the city isn’t that far away from Pasadena Hills. When asked about the many uncontested elections for St. Louis County municipal offices, Salvati said, "If the city is running smoothly, there may be circumstances where there’s a certain level of trust with whoever the elected official is and then maybe … no one is passionate about opposing them." He said he wonders if the intense criticism directed at Ferguson’s mayor and city council members could make others hesitant to seek municipal offices. Salvati is up for re-election next April. If chooses to seek another term, he’ll know pretty soon whether somebody will run against him. He said people like him have a duty to run for office to make their communities better. “My impression of the people that I know from the Ferguson City Council and the mayor is these are people who have real public service idea about what they’re doing,” he said. “The current situation may make it very difficult for them to accomplish a lot. Commentary: What Will St. Louis Do Now To Combat Racism? Once again we in this region are faced with racism and alleged racist actions to be determined by the courts in the month ahead. Sadly this is not new. 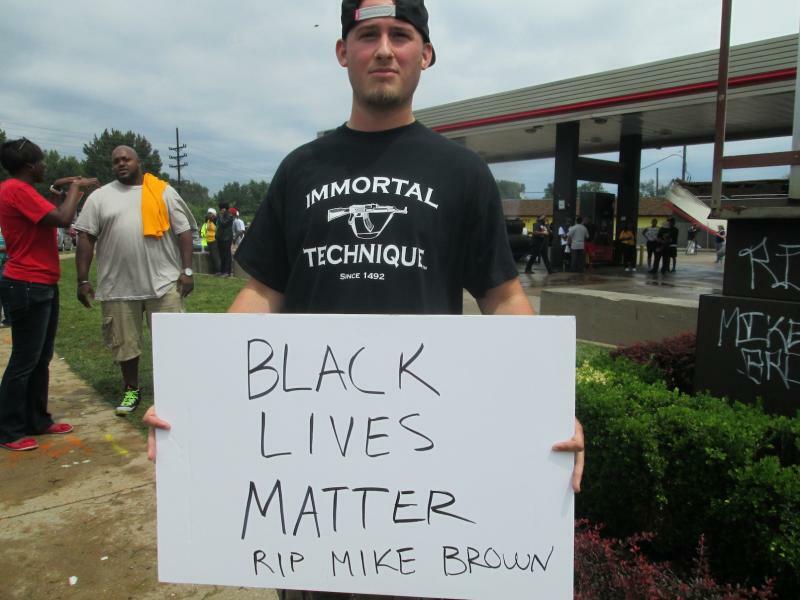 The Rundown: How Does Region Move Forward After Ferguson? Now what? 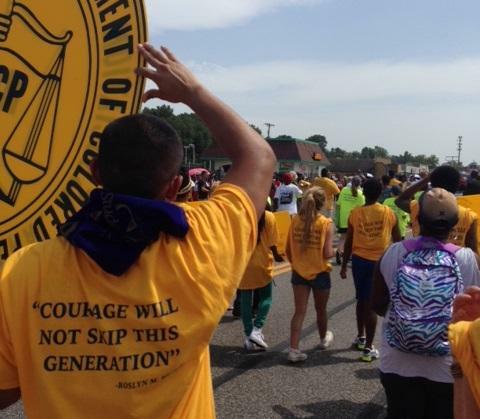 How does our region respond to Ferguson? 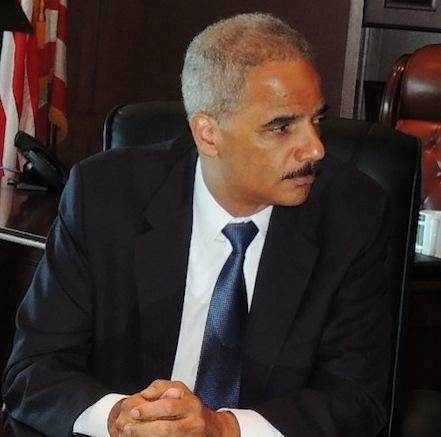 Attorney General Eric Holder said Thursday that his conversations with residents of Ferguson during his visit two weeks ago influenced his decision to investigate the city’s police department.